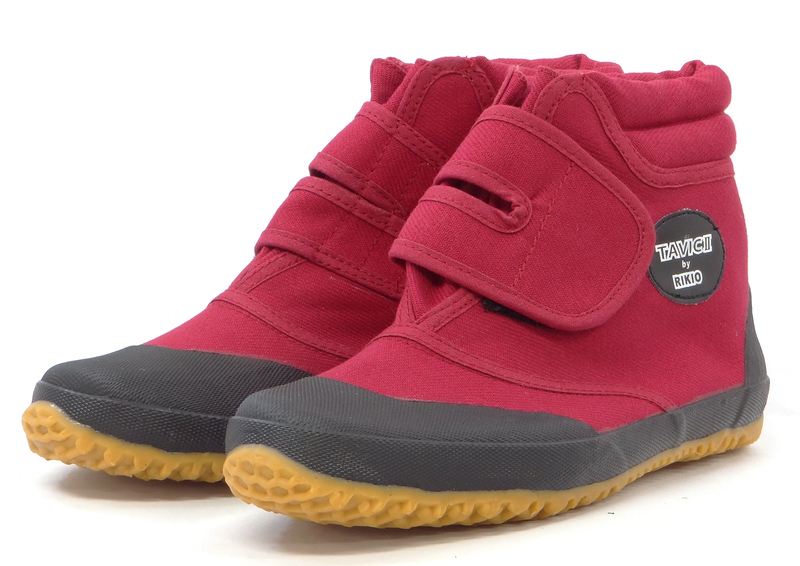 A hightop version of Rikio's popular round-toed jikatabi, in wine red and women's sizes. With a wide velcro fastener, they can be put on and taken off easily and quickly. Cushion insole and non-slip sole. Popular as work shoes in Japan. 100% cotton with a flexible-rubber, non-slip sole. All the stitching is reinforced so the seams are strong and durable.